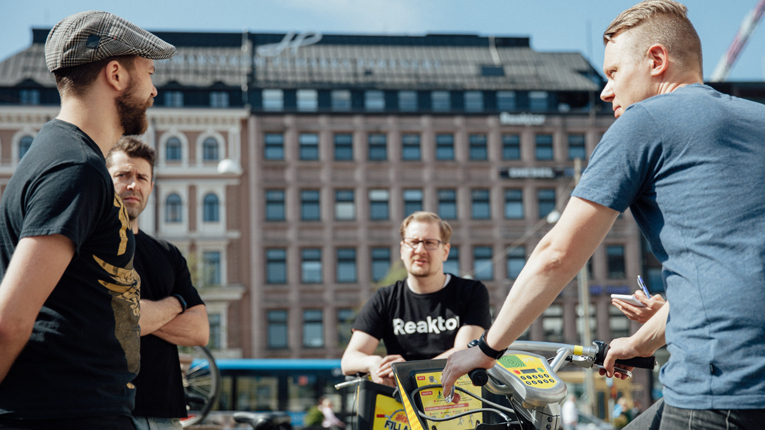 Finnish companies Reaktor (pictured) and Crasman created city bike tracking apps by using the open data of Helsinki Region Transport. Finnish programmers developed apps from open data to help Helsinki city dwellers to keep track of city bikes. City bikes, shared-use bicycles that can be borrowed for a fee by anyone in central Helsinki, appeared on the streets of Helsinki on 2 May. Thanks to the open data by Helsinki Region Transport and Finnish technology companies Reaktor’s and Crasman’s programmers; the cyclists can now easily check the real-time status of every bike hub around the city centre. Reaktor’s kaupunkifillarit.fi and Crasman’s cityfillarit.fi apps have a map that shows the current number of free bikes and returning spots in Helsinki. This summer the central Helsinki area has altogether 500 bikes in 50 different locations. Anyone can use the bikes with a fee from 30 minutes to 5 hours at a time. After the ride, the bike has to be returned to a bike station.